Foxboro's Ashley Sampson helped lead a Warrior comeback in the girls' Division 2 state championship game against Hopkinton. Photo by Ethan Winter. 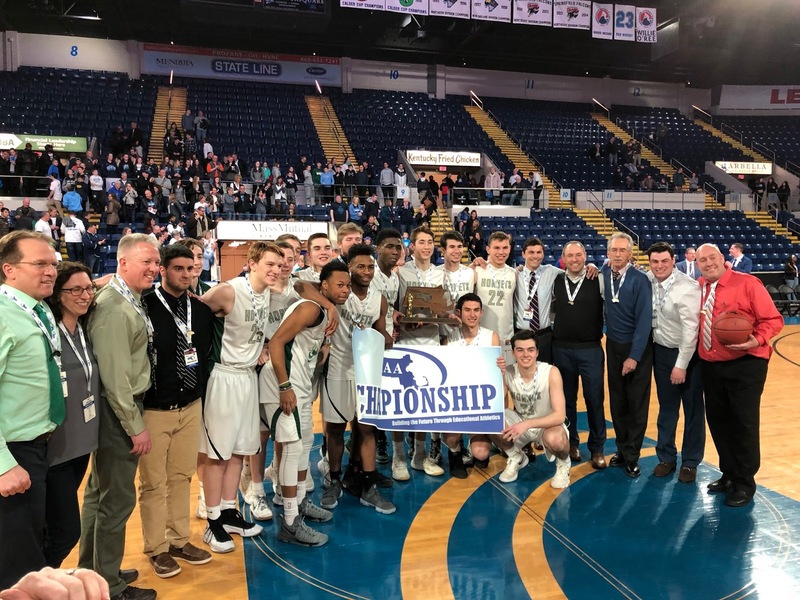 It was a wild day of high school hoops in Springfield, as both the MassMutual Center and Springfield College hosted the MIAA state championships. SuiteSports had you covered all day, and now check out these photos from all eight title games. Note that you can click any image to enlarge and launch a slideshow. Photos appear in the order the games were played. 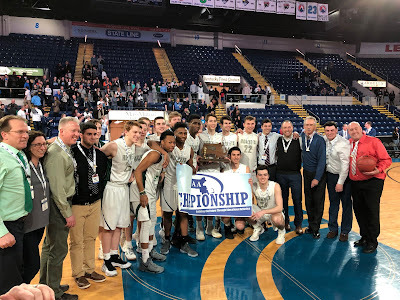 Foxboro defeats Hopkinton at MassMutual Center. Photos by Ethan Winter. Watertown defeats Easthampton at Springfield College. Photos by Matt Siegel. Mansfield defeats Franklin at MassMutual Center. Photos by Joe Parello. Archbishop Williams defeats Hampshire at Springfield College. Photos by Brendan Hall.